The defending champions, whose only blip in recent years was a defeat in the 2014 final by Tunisia, nevertheless had to work hard for their win, and trailed 10-7 at half-time in the Kintele Sports Complex. 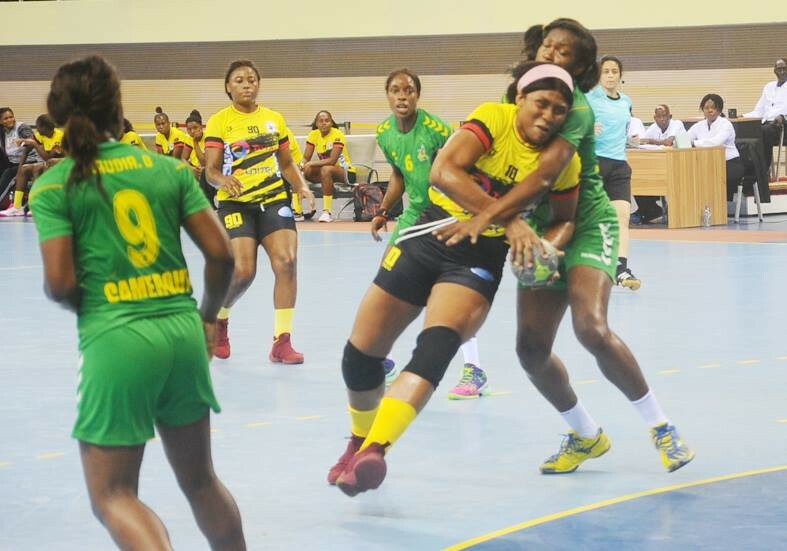 The preceding third place match saw the Democratic Republic of Congo take bronze with a 33-22 win over Cameroon. Meanwhile, defending European Women’s Handball champions Norway, who scraped through the preliminary stages after suffering two shock defeats, made a dramatic attempt to reach the semi-finals tonight with a third consecutive win - but fell just short on goal difference when the final calculations were made. 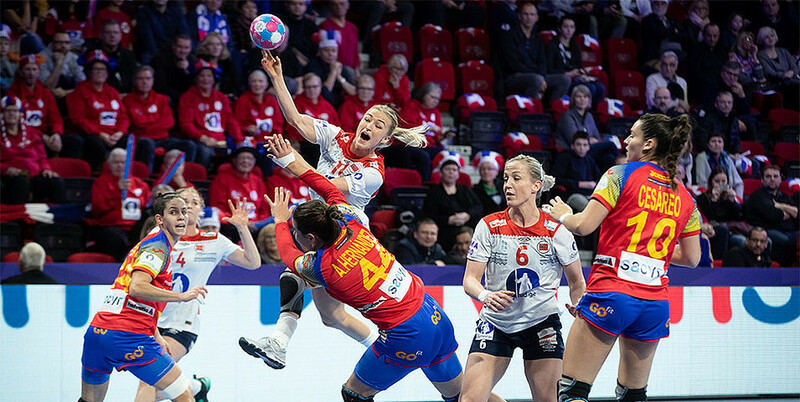 After beating Spain 33-26 at the Palais des Sports Jean Weille in Nancy, Norwayfaced a nervous wait for the results of the final two matches in group II involving teams able to overtake them for the two qualifying spots. "We have been developing in the last days, it did not start well in Brest, we play more and more like Norway," said coach Thorir Hergeirsson after the match. "We are now relying on other teams, we will be happy if we go to the semi-finals, otherwise we will play for the fifth place." Hungary then beat Romania 31-29 in the penultimate match, with Romania losing their leading scorer, Cristiana Neagu, to a knee injury. The Netherlands then moved top of the group two points clear, with a 27-21 win over Germany meaning they are due to meet France in the second semi-final on Friday (December 14). The first semi-final is scheduled to be between Romania and Russia. Romania, Norway and Hungary all finished on six points, but the relevant goal difference meant that Romania edged through. After losing their opening match 33-32 to Germany, Norway had steadied their form with a 31-17 win over the Czech Republic, only to lose their final preliminary round match 31-23 to Romania, squeezing through as the third qualifier in group D.
With only points against qualified teams being carried over to the two main qualifying groups, Norway began without any points and knew they had to win all three of their matches to progress. They did so, but in vain. In qualifying group 1, hosts France had the luxury of knowing they would join group winners Russia in the semi-final even before playing their final game against Serbia thanks to results in the two earlier matches. Montenegro, who started just a point behind France, were beaten 24-23 by Denmark, second from bottom, and despite beating Russia 39-30, Sweden remained in third place behind France despite moving level on five points. Russia were missing Antonina Skorobogatchenko, who had earned a red card for unsportsmanlike conduct in the match against Denmark on Monday (December 10) and incurred a further one-match ban from the European Handball Federation Disciplinary Commission. In the event France finished with a flourish, consolidating second place with a 38-28 win.